In our culture, we are led to believe that our children’s and family’s needs should come before our own. When you add sleepless nights, raising a child with anxiety or another health condition, plus working or volunteering, it is a perfect recipe for burnout. 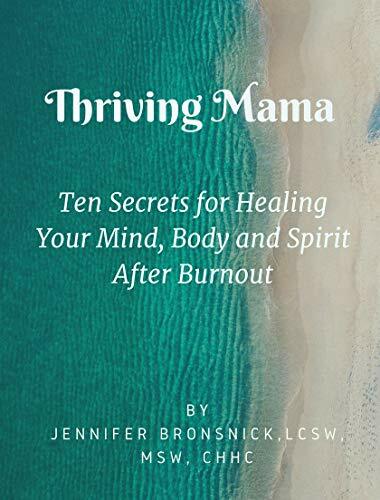 As a wife and working mom of three, Jennifer Bronsnick, MSW knows exactly how hard it is to make time for radical self-care. She believes that what children need most of all is a mother who is full of joy, passion, and wisdom. By taking care of your physical, emotional and spiritual needs, as well as owning your value, you are giving your children the best chance of a happy and abundant future. In this short book, you will learn about your unique energy blueprint for well-being as well as 10 simple tools for reclaiming your mind, body, and spirit. You will receive your Human Design Chart with your purchase, however, because we run them individually it could take up to 24 hours to get your chart emailed to you.